How can you succeed in today’s hyper competitive markets, ensuring that your brand stands out from the crowd? The secret is to engage customers emotionally, taking advantage of technology to increase engagement and drive sales. In one word: deliver an amazing digital customer experience. Of all the technology initiatives out there, virtual reality and augmented reality probably are the most mysterious ones. What’s for sure is that they have a huge – yet unexplored – business potential. They empower you to evolve your digital properties, leveraging the power of 3D to create a unique immersive experience. Since Microsoft officially launched the futuristic HoloLens and the Holographic platform, the idea of virtual reality used to improve customer experience has become topical. 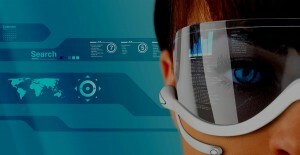 How this technology will actually augment the experience, that’s the question. A major force that drives the evolution of business – retail & consumer goods above all – is the need for companies to differentiate themselves from competitors, find new ways to attract clients and boost sales. bellboxx.com – the mobile specialists! Haben Sie Interesse an 360 Grad Virtual Reality Solutions (inkl. Mobile) – melden Sie sich bei uns! We create Mobile Business! Now that the disruption of mobile technology has totally reshaped the customer journey map, brands must focus on the creation of engagement across all channels and devices. Improving efficiency and saving money in the process. 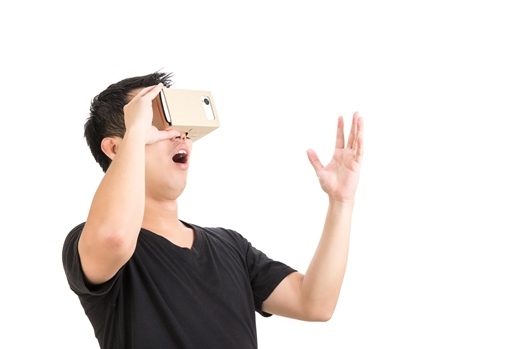 Customers can use their smartphones, tablets and computers to live immersive experiences. In this perspective, there is no doubt that virtual reality – together with proximity marketing and the Internet of Things – could be a great deal for companies willing to invest in technology innovation. Connecting the physical and digital experiences within the immersive framework of aspirational locations, virtual might force a revolution and transform the store as we know it, giving birth to the future of retail customer experience. Although it is in itself a powerful tool, virtual reality is a means, not the final purpose. So it should be always implemented as part of an omni-channel digital marketing strategy (mobile app included). Customer interaction, employee engagement and product design and showcase – you can use virtual worlds to make your brand come alive and help customers connect with your brand on multiple devices. HoloLens and brothers could represent the missing piece of the bridge that connects brands and customers into a new level of experience in a 3D personal perspective. That’s why many companies are already exploring the opportunity of using virtual reality to reduce costs, increase decision making and – most of all – involve their clients into an innovative storytelling and content development. How to put words into business action, that’s the real problem. Just putting an head-mounted headset on your customers’ head won’t bring you satisfying results. You need a story, a personalized concept and a reliable technology (best cloud-based) to bring your virtual world to life. We are just at the beginning of a road that will lead us all – entrepreneurs and customers – towards unexpected drifts. We believe that immersive delightful experiences can not do without the enabling power of 3D and the cohabitation mobile apps and disruptive devices (i.e. Oculus Rift and Samsung Gear VR). Here we suggest some potential real-life applications that will enable you to really take advantage of virtual, delivering innovative customer experience and changing the expected interactions with the physical world. Retail and brick-and-mortar are exactly the first terms that come to mind when you think about potential business applications of virtual reality. Just think about it: industries like beauty, luxury & fashion always need to deliver a one-of-a-kind touch and feel to their customers, instilling on every device the idea of an exclusive ‘appmosphere’. 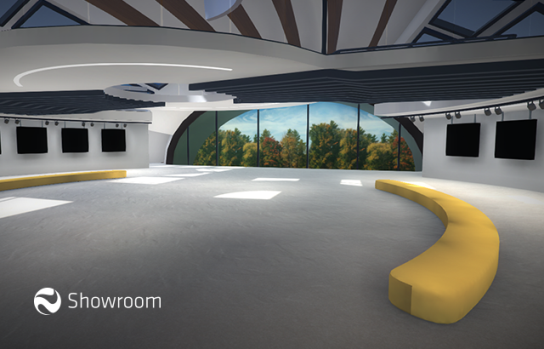 A digital showroom in 3D such as Neosperience Showroom is perfect to personalize (with or without headset) the shopping experience, and offer innovative mobile and in-store experiences. Customer service augmented: you could communicate and interact with clients, offering step-by-step instructions on your products and real-time efficient service. Reality will be augmented by visual diagrams around the user, indicating exactly what to do and how to do it. Remote control could also work in the healthcare industry and medical services (a further evolution of Apple’s Healthkit?). Virtual development platforms could be the best solution to cut expenses improving efficiency. 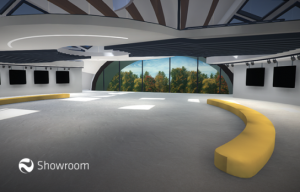 You will be able to test drive products in all different stages of development without any additional costs, just relying on a virtual stage that will offer a 360 perspective. Not counting that you could offer the same opportunity to your customers, to personalize products and services. It’s not by chance that the very first experiments with virtual reality were made for the gaming industry, as is not that one of the first HoloLens-attached projects will be augmented version of the well-known videogame Minecraft. Now that games have officially entered the marketing world, virtual and augmented reality become the perfect addition to your gamification strategy, to improve customer retention and foster loyalty. Oculus Rift, Magic Leap, Gear VR and HoloLens: behind these sci-fi sounding names lies a huge business potential, that will eventually have deep consequences on your digital customer experience. Empowering customers, supporting their purchase process and, ultimately, enhancing the customer journey a little more each day.